A fundamental role is played in Cylinder block reconditioning of the geometrical relationship between the crankshaft axe and the cylinder block axe. Although simple operations in themselves, boring crankshafts journals axe requires time, and precision in essential to the quality of the result. To aid the operator in this specific application, Berco has designed the new BC1600A and BC2600A horizontal CNC boring machines. The machine has the same robust construction of its predecessor, but the boring head section has been completely revolutionized with the introduction of the new rotary feed system driven by high power and torque brushless motors, both for the spindle drive and feed itself. 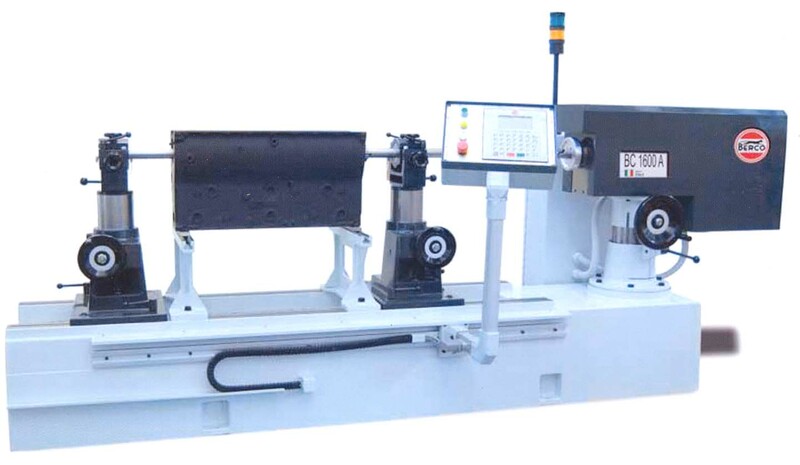 The using the recalculating ball screw, liner guides and simple and friendly numerical control with operating keyboard easily programming, make the machines among the fastest, simplest and precise to program and operate in the market in this sector.